Coming in after my first singlehanded sail in Lena. 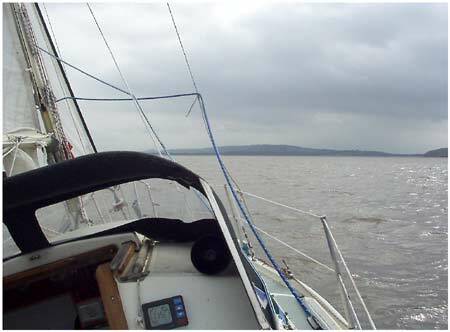 Close hualed into a SSE wind, approaching Axe estuary Uphill. This was about one hour after HW - making about 4.5 kts through the water - one reef still in the main.